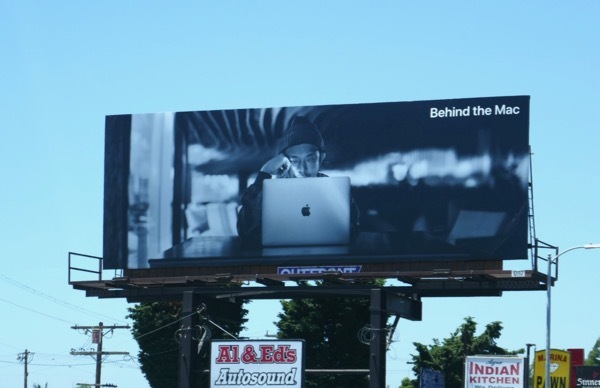 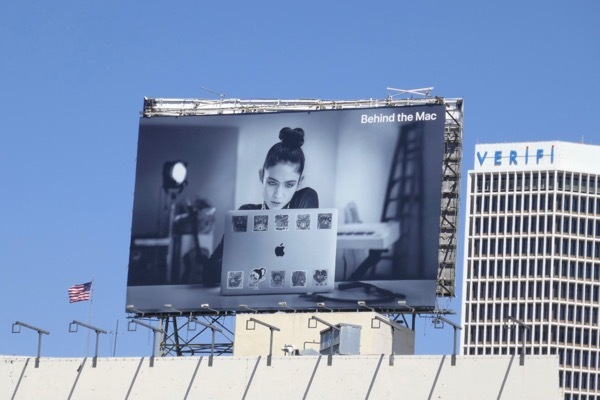 Daily Billboard always loves when Apple brings something new and different to the city skyline and their latest 'Behind the Mac' outdoor campaign is no exception. 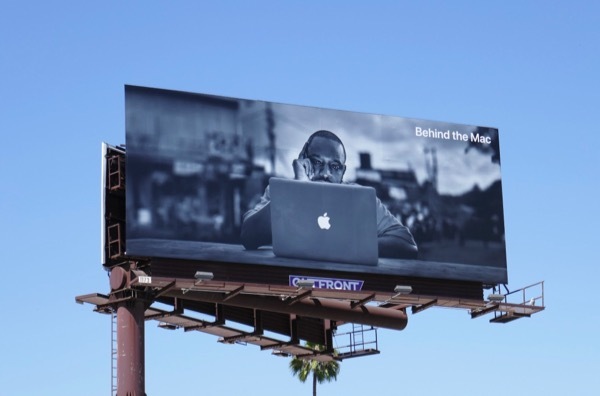 Shining a light on the people who use a Mac laptop as part of their creative process, for work and play, music and art, apps and enterprise. 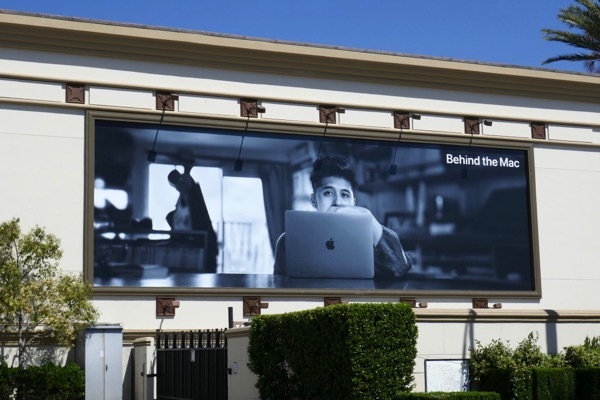 The black and white ad campaign stands out even more as it replaces the previous iPhone X billboards with Apple's trademark product shots on white backgrounds. 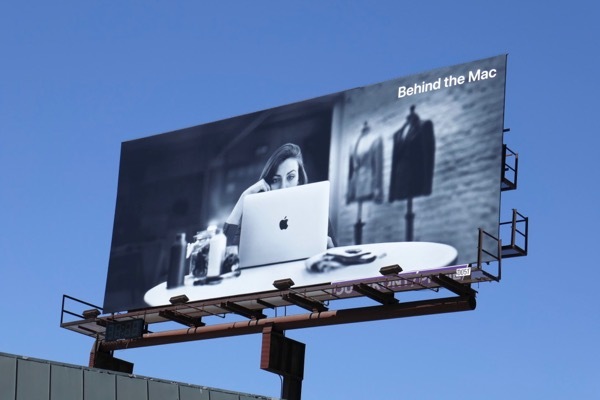 And after years of new technology like iPods, iPads, smartphones and smartwatches getting all the attention, it's nice to see the humble Mac back in the spotlight. 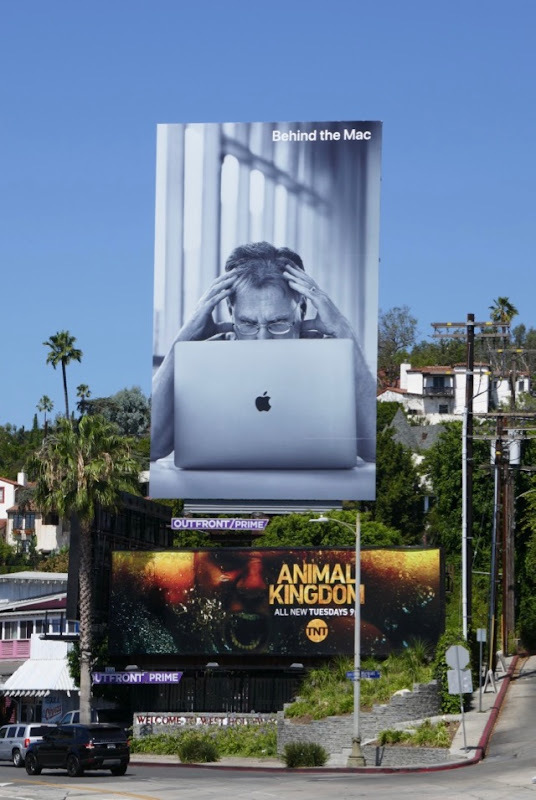 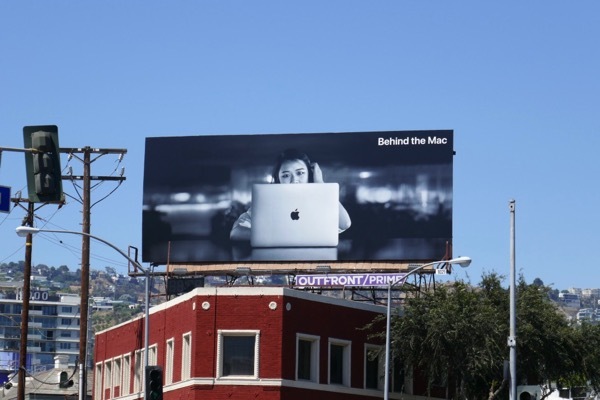 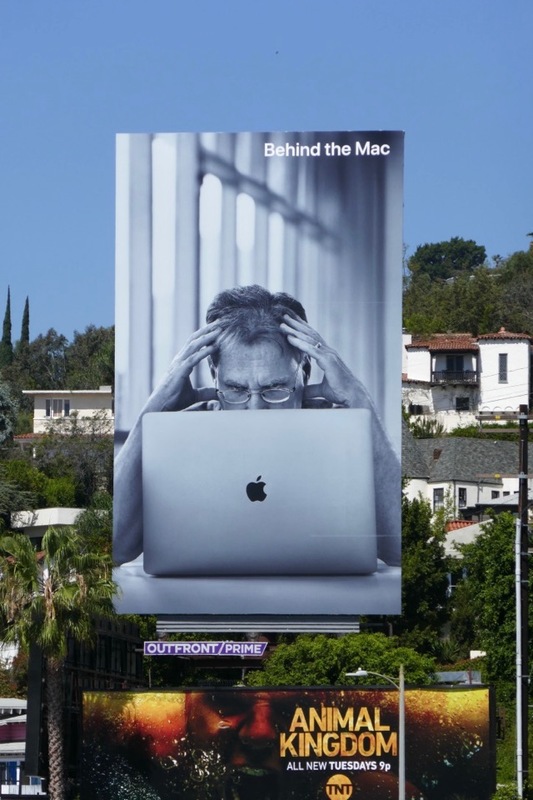 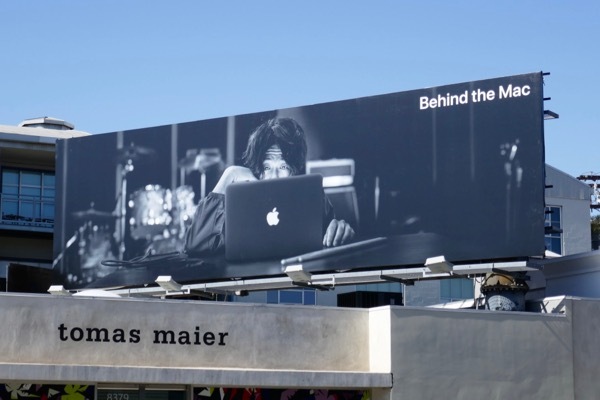 These Behind the Mac billboards were snapped along Sunset Boulevard, Wilshire Boulevard, Melrose Avenue, Lincoln Boulevard, 3rd Street, Santa Monica Boulevard, Bundy Drive, Hollywood Boulevard and Beverly Boulevard from July 15 to July 19, 2018. 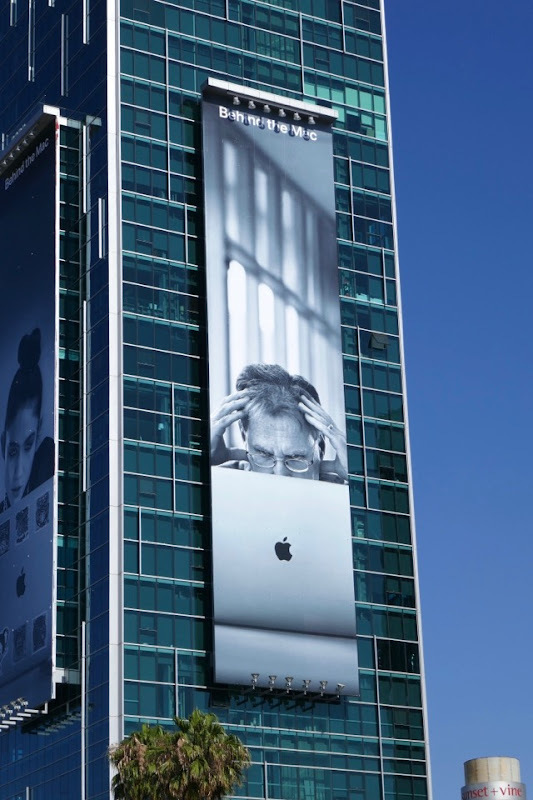 Fans of the tech giant can enjoy all these other Apple billboards filling the city skyline over the past ten years (and how technology has advanced over the last decade). 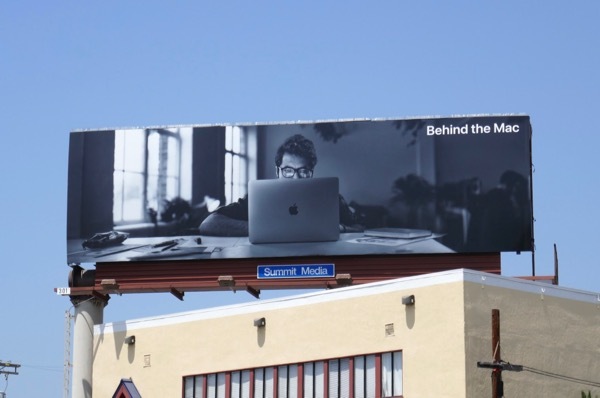 Aside from traveling around L.A. capturing all the fantastic visions in vinyl the City of Angels has to offer, if you ever wondered what a day in the life of Daily Billboard is like, these new billboards certainly capture the creative process, some more than others. 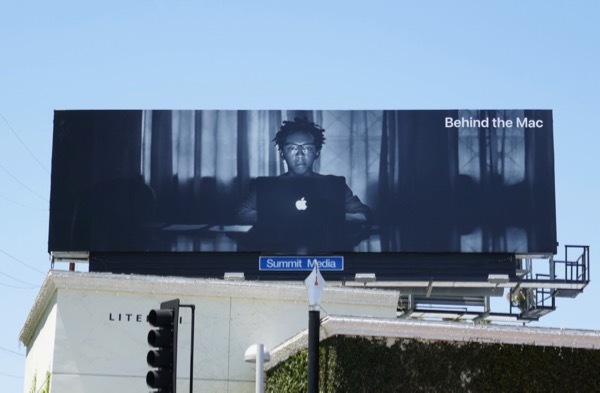 UPDATED: Here's another creative from this outdoor ad campaign photographed along Wilshire Boulevard at Bundy Drive on July 31, 2018.